For the third time in history, the NHRA has had a pair of female finalists in their Profinal round. This past July, in Norwalk, Ohio, Karen Stoffer catapulted herself to victory against Angelle Sampey. Stoffer had originally planned only to race a limited schedule, but instead found herself in second place in points after defeating three world champs. This rapid acceleration to the top surprised even her. Her final opponent, Angelle, had come up against her once before in 2002 and defeated her at Reading. That was the second female pairing, the first being in 1982. In this latest bout, Angelle, fouled the red light, allowing Karen to surpass her as the current Champion. 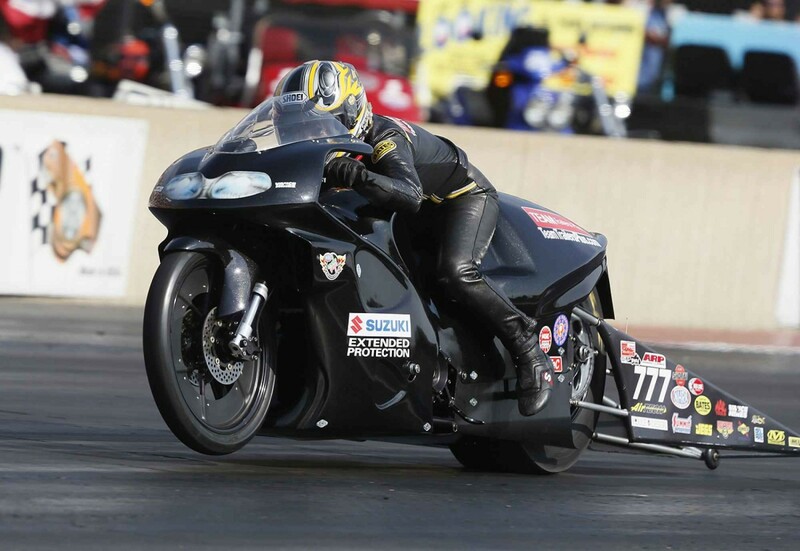 Not only was she second overall in points coming into the final, but she was also the only NHRA motorcycles multi-winning racer this year, defeating three other world champions to make it to the finals! This unprecedented display certainly has solidified her in the history of NHRA pro stock racing. She admits to having some trouble qualifying at the final, but as we know in racing, it is never where you start, just where you finish. Bravo!! Plus they look so amazingly better than the men in leather.